This is the challenge experienced by a growing number of Australians with a diagnosis of coeliac disease. This is also a significant challenge for foodservice operators with a staggering 2.4 million or 1 in 10 Australians looking for gluten free menu options. This year’s Coeliac Awareness Week (13-20th March) is focused on the Face of Coeliac Disease. In this consumer facing campaign, Coeliac Australia aims to highlight the symptoms, diagnosis and management of coeliac disease in the community. “We know that people with coeliac disease just want to enjoy a good meal out with friends and family like everyone else, but we also know that this can compromise the management of their coeliac disease,” says Cathy Di Bella, Special Projects Officer at Coeliac Australia. Cathy adds, “By investing in training and putting into place simple processes, switched-on foodservice operators can play an important role in the long-term good health of customers living with coeliac disease. Gluten free diners just want to trust that their meals will not make them unwell. And to support this, Coeliac Australia has teamed up with category innovator Nestlé Professional. 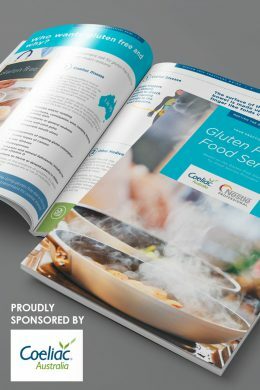 This collaboration has led to the development of a comprehensive Gluten Free Practical Guide, based on Coeliac Australia’s standard for best practice in gluten free foodservice. “Our partnership with Coeliac Australia allows us to support operators in taking the steps they need to deliver quality gluten free meals that their customers can trust. We know that the symptoms of coeliac disease are as diverse as the people affected by the condition, so foodservice operators must treat all gluten free meal requests equally. No amount of gluten is acceptable in a gluten free meal,” said Accredited Practicing Dietitian & Brand Nutritionist at Nestlé Professional, Karen Kingham. Research conducted by Coeliac Australia demonstrates that foodservice operators are still challenged in being able to offer a compliant gluten free menu. 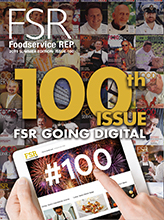 “Our customer insights tell us that foodservice operators are keen to offer quality gluten free menus but that they need more support in planning and executing these,” said Mark Clayton Executive Chef at Nestlé Professional. Nearly 50% of Coeliac Australia’s respondents reported feeling unwell with gluten related symptoms after eating out and this is likely to be as a result of inadequate gluten free management. Nearly a third of respondents cited cross-contamination as an issue with their meals and almost a quarter of menus incorrectly declared meal options to be gluten free. To further equip foodservice operators in successfully navigating gluten free, Nestlé Professional has also supported Coeliac Australia to develop an interactive and engaging online training course, coeliac.org.au/gluten-free-online-training. This training provides the knowledge and the know how to implement best practice in gluten free food preparation and service. And with these resources, Nestlé Professional and Coeliac Australia can support foodservice operators to provide quality gluten free menu options for the many faces of those with coeliac disease.